3 How to Participate in UC News Contest? 4 How to Win the Prize? 5 How to Redeem Your Cards? 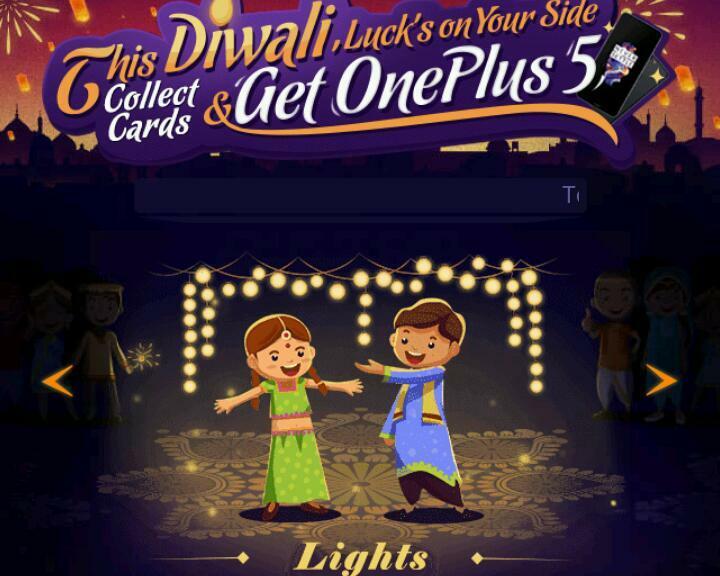 Hi Friends, welcome back again, UC News app back with another Contest to celebrate this Diwali in which you will get a chance to Win OnePlus 5 or Paytm cash. Read below to know how to participate in this Diwali Contest. UC News again comes with simple cards collecting game in this Diwali. It is very easy to participate and win. So without wasting time just follow our given steps and try to Win OnePlus 5 and Paytm cash. How to Participate in UC News Contest? 6. That’s it now share with your friends and Earn cards. How to Win the Prize? • If you collect all of 6 different cards, you will eligible to redeem the free OnePlus 5. • If you collect 3 card, you will have the chance to redeem the free paytm cash. ▪ When you get the 6 different cards together, click on ” Redeem ” button on the homepage to fill in your personal information and get your free OnePlus 5. ▪ Don’t lose heart even if you don’t win the OnePlus 5, Click on ” Prizes ” button to check whether you’ve won a prize or not. ▪ If you win a prize, click on the ” Fill in information ” button to complete your contact information correctly. ▪ Prizes will only be delivered to winners with correct information.